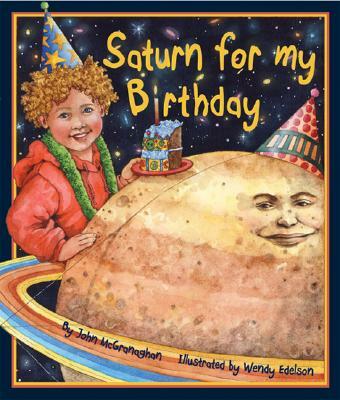 Jeffrey wants Saturn for his birthday, and he wants the moons too all 47 of them. After all, they ll make great night-lights! But he s not selfish; he ll share the rings with some of his friends at school and with his teacher, Mrs. Cassini. Facts about Saturn are woven seamlessly throughout this funny story as Jeffrey explains just what he ll do with his present and how he ll take care of it. His dad better hurry with the order, though, because shipping might take a while. For Creative Minds Section Includes: Solar System Fun Facts, Saturn Fun Facts, Size, Distances, Temperature, Density, Moons, Rings Activities Include: Size comparison project, edible rings Thanks to educators at NASA & the Jet Propulsion Laboratory for verifying the accuracy of the information in this book.